Ashley Marie Doolittle, 18, of Loveland, Colorado, loving daughter, sister, and friend, died on June 9, 2016. She was born on May 20, 1998 in Louisville, Colorado. 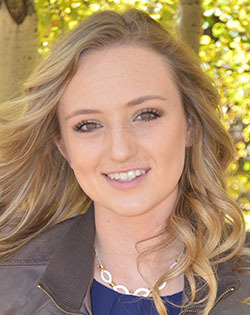 Ashley, who graduated this spring from Berthoud High School, had been a member of Boulder County 4-H for 8 years where her love of horses showed with her involvement in the horse project, horse judging, horse bowl and hippology teams. She also served as Vice President of Thompson FFA. Her accolades included competing on numerous national horse judging teams and was named the champion high individual overall in the National 4-H Western Roundup and the State FFA competitions. She learned to ride when she was five years old and was an accomplished rider and competitor. In addition to her love of horses, she was passionate about agriculture and used her experiences and role as Boulder County Fair and Rodeo Lady-in-Waiting to educate others about agriculture and the western lifestyle. She was looking forward to pursuing this passion as a freshman at Colorado State University in the fall. Ashley had a smile that made everyone feel special. She truly reflected God’s love to all she came in contact with and she was an inspiration and role model to each person she encountered. She lived life to the fullest and lit up the world with her enthusiasm for life. Ashley will continue to live in the hearts of everyone that knew her. She is survived by her parents Jeff and Ann Marie Doolittle; her brothers Michael Doolittle and Branden Kratochvil; her grandparents Jerry and Charlotte Hopf; and many aunts, uncles, and cousins. Ashley was preceded in death by her grandparents Verne and Pat Doolittle. Viewing will be held on Thursday, June 16, 2016 from 4:00pm-7:00pm at Viegut Funeral Home, 1616 N. Lincoln Avenue, Loveland, Colorado. Mass of Christian Burial will be held on Friday, June 17, 2016 at 10:00 A.M. at St. John the Evangelist Catholic Parish, 1730 W. 12th Street, Loveland, with interment following at Greenlawn Cemetery in Berthoud. In lieu of flowers, we would ask that donations be made to support the Ashley Doolittle Princess Program. This program is to help foster the love of rodeo in young girls who show an interest in the royalty community. This was Ashley’s dream when she was crowned Lady-in-Waiting and the royalty committee plans to continue her legacy. Her compassion and love of the rodeo will shine through this program and will influence future leaders in our fair, rodeo, and royalty communities. Donations can be made to Boulder County Fair Royalty and sent to the Treasurer, Katie Richardson, at 758 S. Juniper Ct, Milliken, CO 80543. Go to www.viegutfuneralhome.com for on-line condolences.